I reviewed a couple of books on Goodreads / Amazon lately and figured I’d share them here. When Sheyna Galyan writes her novels she tries to answer “big questions.” When I’m reading fiction, my basic quest is to be entertained – but if I end up learning something because of what I’ve read or if it spins my mind in different directions where I want to research something that the author mentions or if I come away having learned something different about culture or religion … that’s time well spent. “Strength” follows characters that were featured and introduced in Ms. Galyan’s first book. For a reader, this is like settling in for a conversation with an old friend. In this case, catching up on this conversation is full of tension and suspense. Again, time well spent. 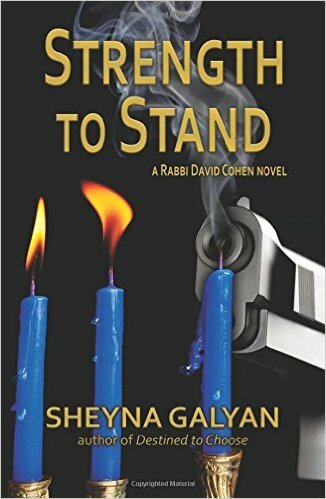 Galyan writes strong characters and offers insight on Jewish culture. As a reader and writer, it was interesting to see how Galyan’s skills as an author strengthened from her debut novel to Rabbi Cohen’s second outing. I am happy to hear that she’s penning a third that will prominently feature Arik. My review is based on an ARC. “Strength to Stand” was released on September 1st. So, the reason I picked up this book was that Mindy Kaling mentioned it when the New York Times profiled her for their “By the Book” column. Specifically, Ms. Kaling noted that she loved Angelica Huston’s autobiography, but she couldn’t believe that Jack Nicholson let Ms. Huston publish what she did about their tumultuous relationship. Ms. Huston’s autobiography that covered this relationship and spanned the majority of her movie career, along with beautiful chapters that talked about the death of her father, John Huston, and her subsequent relationship and marriage with sculptor Bob Graham. 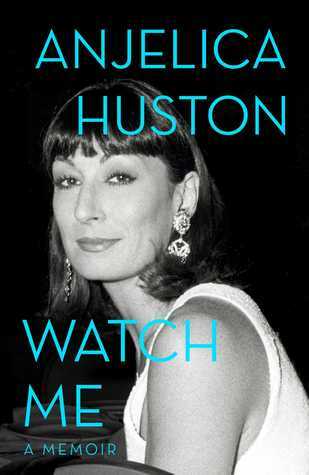 If you’re a fan of Angelica Huston’s work, this is a good read.